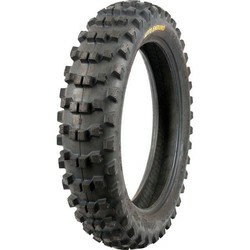 Geomax Enduro 90/90 -21 TT 54 R - Soft. 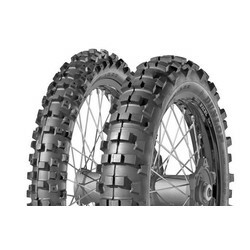 The Dunlop Geomax Enduro is a FIM approved enduro tyre which is street legal, that now features a new tread design and compound to increase traction and durability on varying terrain. It has a new shoulder block arrangement for superior corner grip as well as casing stiffness and profiles to give excellent shock absorption. To ensure the new Geomax Enduro could handle the toughest conditions out there, Dunlop worked with the world’s most experienced riders to develop the ultimate enduro tyre. 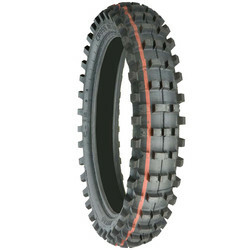 Enduro’s tough combination of trials and stages over varying terrain provided a unique challenge and demanded a special tyre to compete for success. Designed to meet with FIM regulations, the Geomax Enduro is a street-legal competition tyre that gives you the edge. Design benefits include increased traction, total control, superior corner grip and improved wear on all types of terrain.